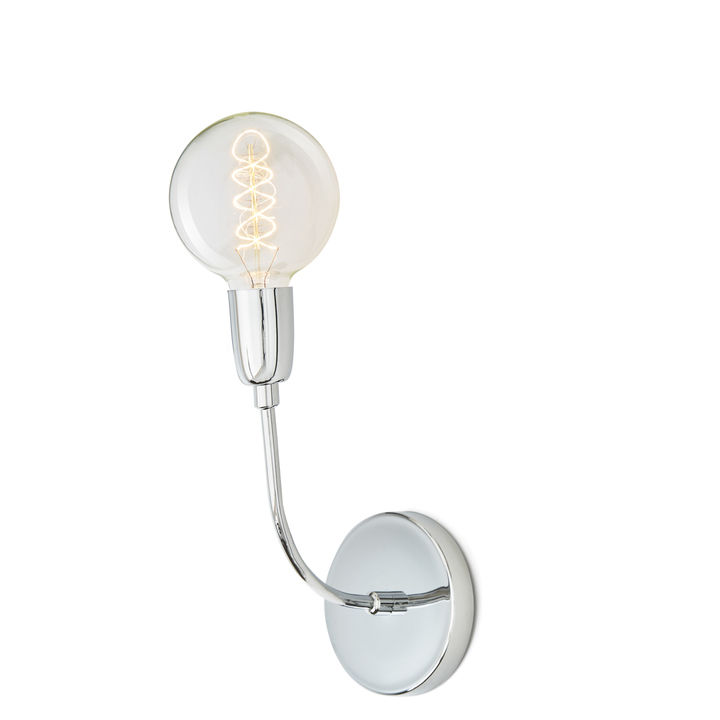 There are only 32 available of the Celeste Wall Sconce, Chrome. Your selected quantity has been adjusted. The Celeste Sconce is our contemporary approach to elemental, clean design. 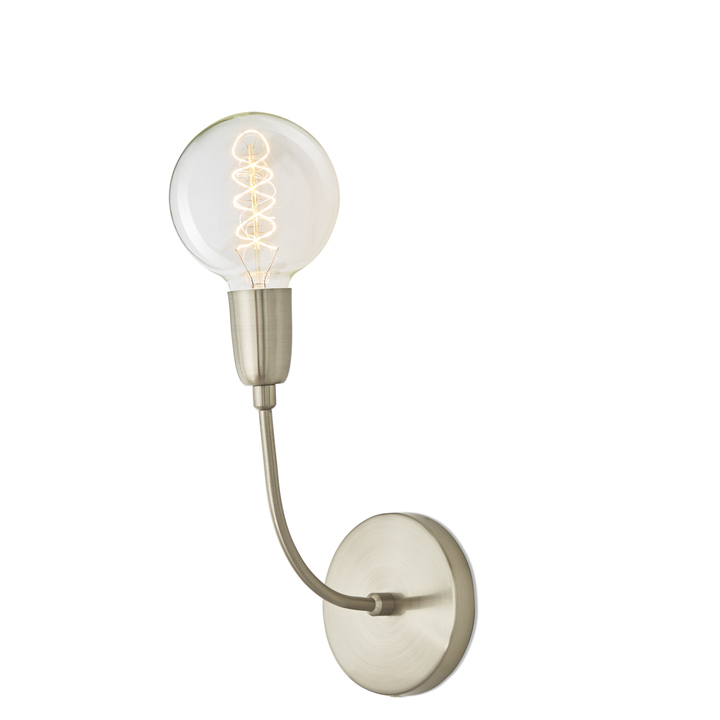 Its simple silhouette features a vintage-style bulb supported by an elegantly curved neck and circular back plate in a lustrous, modern chrome finish. Ideal in pairs; add ambient, yet direct light by flanking a couch, a fireplace, a favorite painting or a mirror.